Donations in memory of a loved one are helping to transform the lives of vulnerable children living in some of the world’s hardest places. Losing a loved one is one of the hardest things you may ever have to face. But celebrating the life of a loved one can help lighten the burden of grief in the wake of bereavement, and offer a glimmer of hope when life feels dark and overwhelming. If you’re considering ways in which to give in memory, you might like to think about asking for charitable donations to World Vision UK instead of funeral flowers. You can make a one-off donation online at any time, or you can complete and send back our Remembrance Gift Form. *Love Lives On is managed by Much Loved, our giving in memory partner. This link will take you to their website. If you are able to give £3,000 or more or would like to fundraise in memory of your loved one, you might find that a contribution to one of our projects is particularly rewarding. If you would like to discuss funding a project, please email or kindly call our Legacies and Rembrance Gifts team on 01908 841060. Sponsor a child in memory of your loved one, or if your loved one was already a child sponsor, you could continue the sponsorship that they started. Alternatively, a collection of £75 or more can be sent to benefit the sponsored child and their family. To arrange this, please email or kindly call our Legacies and Rembrance Gifts team on 01908 841060. Born a farmer's daughter in Canterbury on 30 May 1952, Rosemary developed a passion for dogs and horses from a very early age. When Rosemary finished school she went to Exeter University and there ignited her second passion: teaching. 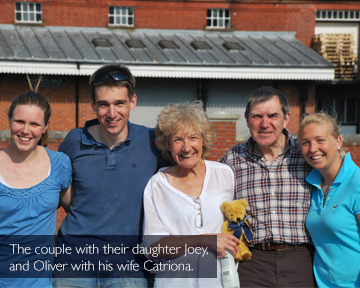 She married John in 1978 and they had two gorgeous children, Oliver and Joanna along with several horses and three dogs. Rosemary and John shared a wonderful 36 years together until Rosemary's tragic and unexpected death in 2014. Throughout her life, Rosemary was an incredibly active, efficient and passionate woman with a huge number of friends. She enjoyed so many things - horse riding, gardening, History of Art, painting, knitting, music, reading, coast walking, tapestry and, in addition to all these things, she was also learning Spanish! Family was incredibly important to Rosemary and she always made time for her two nephews and four nieces: "We will always remember her for all the things she did for us. For arts and crafts projects like modelling, painting and printing. She always had something new up her sleeve. For horse riding and rounders games on summer evenings. For keeping us on the straight and narrow, and for her guidance as we faced the challenges of adulthood." 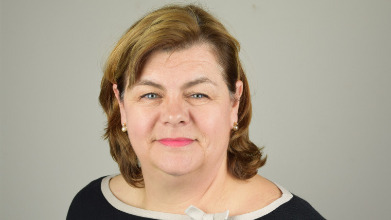 Rosemary loved children so much and cared deeply for them and as a primary school teacher, she was loved by many of the young children that she taught and by their parents. 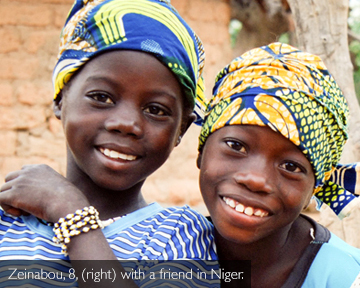 When she discovered World Vision she was drawn to help children in the developing world who needed support. 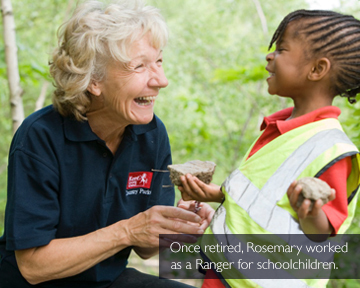 Rosemary was very impressed with their activities and continued her loyal support for an incredible 26 years! Inspired by Rosemary's generous heart, her family have chosen to honour her memory and continue her passions through fundraising for World Vision. 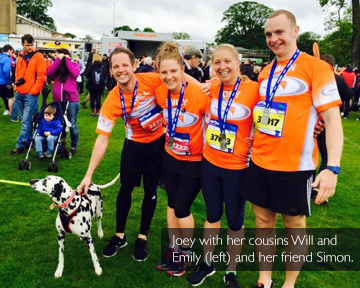 In May 2015, her daughter Joey, along with other family members, took part in the Edinburgh Half Marathon. Their sponsorship, along with the gifts given at Rosemary's funeral, have raised over £3,000 for World Vision's work. The hope is to continue fundraising and make sure Rosemary's inspiration continues to help more and more children around the world. "I hope to continue Mum's support of this incredibly worthwhile charity and so hope that this is just the beginning!" Joey Turnbull. A Love Lives On tribute fund is a very personal and wonderful way of creating a lasting tribute to your loved one. It is a way of ensuring that no word is left unsaid. It is an opportunity to honour a loved one’s life and express gratitude for the joy that they have given to those around them. Simple to set up and easy to use, your Love Lives On tribute site will enable you to collect photographs, music, video, and a whole host of memories, in a place that friends and family can share and contribute, donate on-line easily and securely, send cheques or donate regularly by Direct Debit and watch your Love Lives On Fund grow. By keeping your loved one’s memory alive, you will also be helping children in the world’s hardest places to live free from fear. Our dedicated Remembrance Gifts Team is here to help you. If you’ve recently lost a loved one, our Remembrance Gifts Team is here to help you. They can offer advice, support and help you identify an area of our work that would be an appropriate tribute to your loved one. 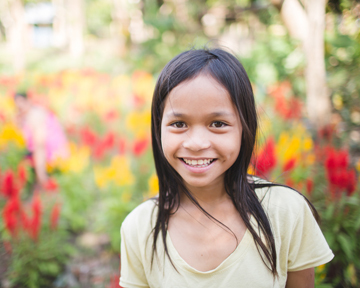 If you’d like to make a gift in memory of a loved one to World Vision or you’ve got any other queries, please email of kindly call us on 01908 841060. Caroline McLeod is the Legacy Manager at World Vision. Caroline McLeod is the Legacy Manager at World Vision. 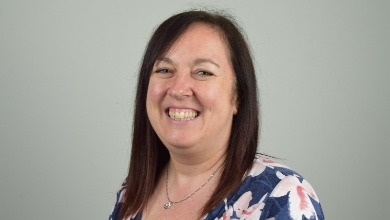 After many years of working in the private sector in a range of management and relationship roles, she felt called to join Wold Vision – a charity whose work has always inspired her. Caroline says "It’s a real privilege to have a job that helps the world’s most vulnerable children to overcome poverty and injustice, and to have a future full of hope and security. Partnering with the amazing supporters who enable this to happen through their generosity is an honour. I’m incredibly humbled that the same supporters have the heart to leave a gift in their Will, protecting the children of the future. This resonates personally and for me shows God’s love at work in such a practical way. I look forward to sharing the impact that these gifts in Wills make and wish to thank you for all that you do." Karin has been with World Vision UK since March 2010. Karin has been with World Vision UK since March 2010.was inspired to work for World Vision because it gave her the chance to make lasting changes in the lives of children. Can I donate regularly in memory of a loved one? Yes, we can arrange for a regular direct debit to be set up for you to remember your loved ones on dates that are special to you. This could be on their birthday or an anniversary. If you have any other questions, please call the Remembrance Gifts team on 01908 84 10 60 phone lines are open Monday to Friday 9:00 - 17:00 or alternatively send an email to remembrancegifts@worldvision.org.uk. Can I visit the project where I helped to fund something? Yes, once the project is completed we are able to arrange a visit for you. Please call the remembrance gifts on 01908 84 10 60 so we can help you further with this. How do I create a 'Love Lives On' tribute fund? The best way to see how your Love Lives On memorial site will look is simply to Create a Tribute - this is very easy to do and only takes a couple of minutes. You can personalise the design, add memories, photos, music and video as well as invite friends & family to visit and contribute. At all times you retain total control over privacy and postings, plus your site is hosted online in perpetuity so that you can keep it as both a loving and a lasting tribute. If you prefer we can create and look after your on-line tribute for you. If you are setting up a Tribute Fund for someone and you are not their next of kin, we would ask that you seek agreement from them first; this is to ensure that the family are fully aware and supportive of the Tribute Fund. from you, your family or friends will be added to make it grow. It can provide a positive focus for everyone who knew them to honour their memory. If you have previously given donations in memory of a loved one to World Vision UK, and would now like to set up a Tribute Fund and attribute all the donations given in memory to date, please let us know. How do I grow my 'Love Lives On' tribute fund? A Tribute Fund can often start with donations in lieu of flowers at the funeral, and then can grow through fundraising events held in memory of your loved one. Donations can also be given in memory through a variety of ways, such as by making a regular monthly gift, which is a wonderful way to keep paying tribute and ensure that the fund grows into something really substantial. In addition, you may choose to donate on dates to mark birthdays, anniversaries or on other special occasions which are unique to both you and your loved one. Our remembrance gifts team will support you with any fundraising events. Will I know where my donation is going? Yes, we always try to identify an area of our work that would be an appropriate tribute to your loved one. This may be a gift to their sponsored child's community or a bespoke project for larger donations. However, some people choose to send their remembrance gift to support our General Fund, this means that we can use the donation wherever the need is greatest. Will I receive feedback about the gifts or projects I have funded? Yes, our field staff will send us a short report and some photographs to show how a project gift has helped to benefit a sponsored child and their community. If you choose to help support a bespoke project in memory of your loved one, you will receive a project proposal outlining the objectives of the project and a completion report once the project has reached its goals.